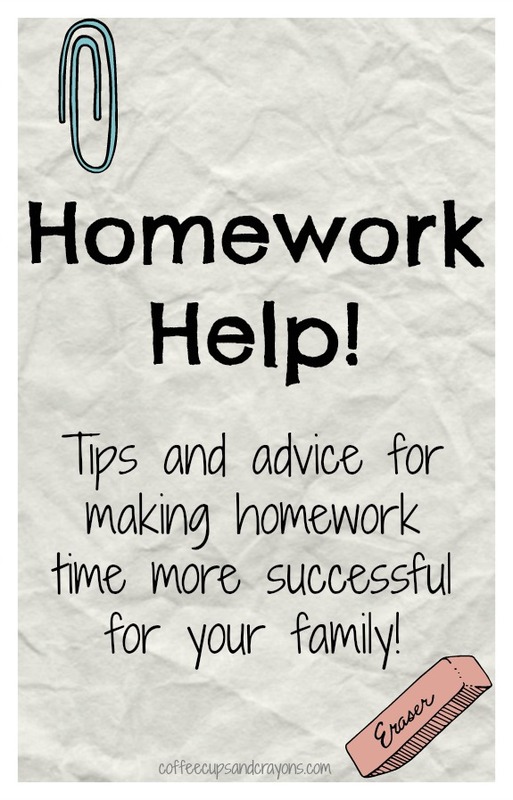 Last week on #CoffeeBreak, my weekly series on Google Plus, we talked about homework and how to make homework time more successful. Too many families consider homework to be a stressor, so I sat down with Kim Vij from The Educators’ Spin On It, Jacquie Fisher from Edventures with Kids, and Melissa Taylor from Imagination Soup to answer parents’ questions. We answered many questions during the show and tried to provide families with concrete ideas they could use at home. Here are the parent questions we answer during the episode. 1. How do I get kids to want to do homework? It’s a nightly battle. 2. What do I do with a child who constantly forgets his/her homework at school? 3. What do I do if I think the homework is way too easy for my child? 4. Am I supposed to check the homework each night? 5. How can I keep younger brother and sisters busy so I can do homework with my older kids? 6. How do I get younger students to sit still and concentrate on homework after a full day at school? Speaking of homework…it’s time for some After School fun! All of the activities linked up last week were fantastic, but two that would be great to use as homework fact practice were Teach Missing Addends with Monster Flip Cards and Beginner Sight Words Letter Match.